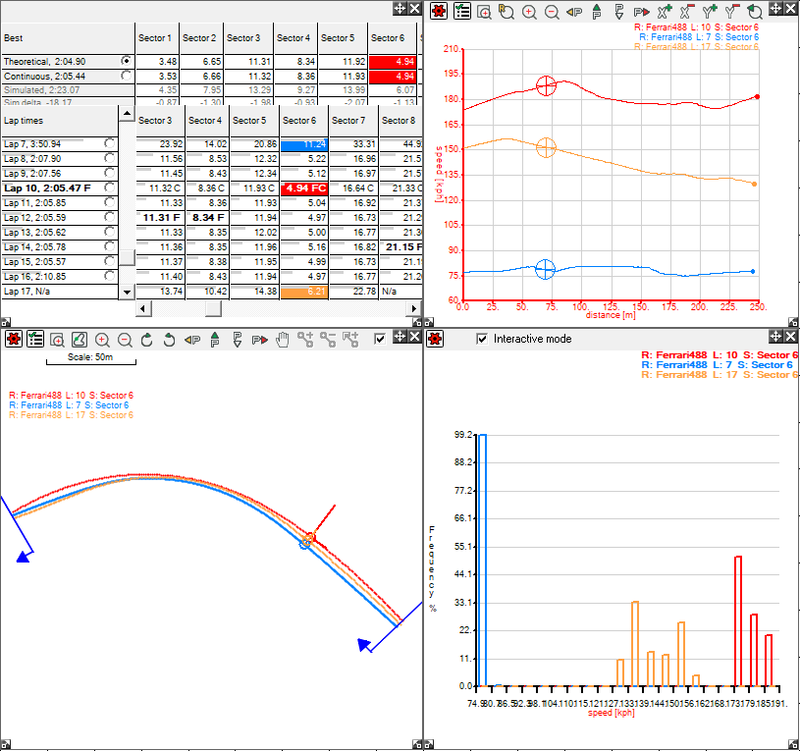 Interactive mode is an option on all graphs and the track maps. 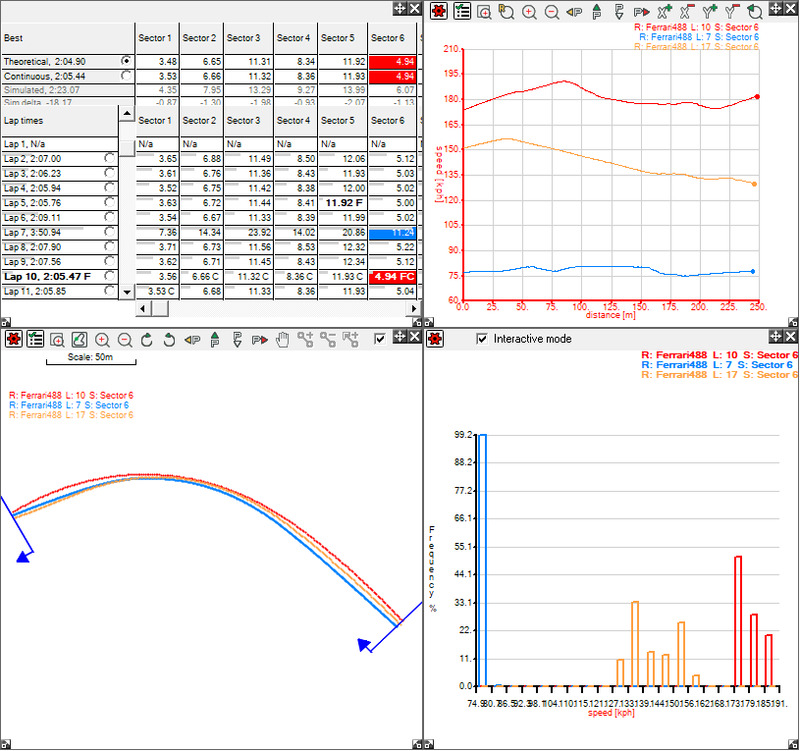 Interactive mode is always enabled on the Quick XY Graph, Performance Calculation Table, Summary Statistics tables (when in "Display for selected area" mode) and the Virtual Dashboard. Basically, interactive mode displays data for only the selected range. It will always zero the X-axis on the XY Graphs, and when no data is selected, the screens will appear empty with a message telling you so. you can not select a range on interactive mode, only a point. Initially, if you have no data selected, then you will be shown nothing on the graph and track map window. To display data, you have to select a range, either on a window that isn't in interactive mode, or on the lap and sector times table or the summary statistics table etc. Once you have a range selected, this will be displayed on the interactive windows. Now you will be able to select a point which will be cross linked across the windows as normal, but you wont' be able to select a range.